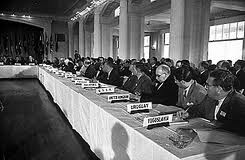 It all started with the Bretton Woods monetary architecture agreed to in July 1944 during a three-day meeting gathered at that New Bretton Woods meeting in July 1944Hampshire's town when the allies were anticipating total victory against Germany and Japan and agreed on the creation of the International Monetary Fund (IMF), and other issues with a main goal of post-WWII reconstruction of devastated European and Japanese industrial bases. In order to allay possible suspicions and concerns, the IMF initially limited itself to a role of central-bank-style lending role, a function that grew at a time when most major currencies had fixed exchange rates to the dollar as the main reserve currency of the World. On this role, when trade deficits or capital flights arose, causing balance-of-trade and balance-of-payments problems, the IMF could approve devaluation to alleviate, if not solve, the problem, hoping that the country involved will make policy changes necessary to improve its export competitiveness, including labor market reform, fiscal discipline to reduce inflationary tendencies and lower unit labor costs. However, most side effects of these policies are hidden because even if devaluation can improve competitiveness, it also imposes large losses on investors in local markets and represent a hardship for lenders. Consequently, the IMF took another step of enormous importance with the creation of the Special Drawing Rights (SDRs). Again, a screen to conceal the creation of a world currency. In fact, a move to give the IMF its greatest power – the ability to create money. This has opened the doors for the IMF to evolve from a quota-based swing lender to a leveraged lender of last resort, just as the so called Federal Reserve is. That means a move from a time when countries withdrew from reserves previously deposited, to a time now when global monetary elites may solve sovereign debt problems using an inflationary medium (the creation of money), which in turn allows individual governments to disregard or even deny their own political responsibilities. 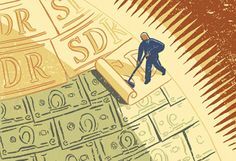 The SDR has thus become a reserve currency having its exchange value calculated in reference to the dollar and a basket of other currencies that mostly include the Japanese Yen, the Euro, and the UK pound sterling. On its new role, the IMF's new borrowing capacity was used primarily to bait out the Eurozone members: Ireland, Iceland, Portugal, Greece and Cyprus. 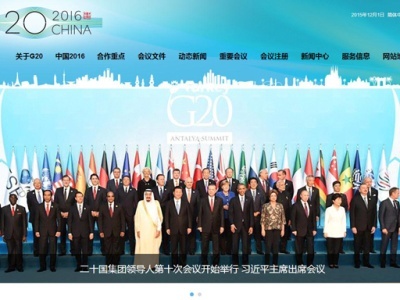 In order to do that, the IMF argued on the need for extraordinary funds on occasion of the G20 Leaders' Summit gathered in London in April 2009. They pledged to expand by $750 billion the IMF's lending capacity, with funding obtained from the most developed among its members. While the largest commitments came from the European Union as a whole and Japan ($100 billion each), China ($50 billion) and from Brazil, India, Russia, Canada, Switzerland and South Korea ($10 billion each), President Obama sent letters to the congressional leadership requesting $100 billion support to the IMF. The letter sought to reassure Congress that the money was "a loan" to the IMF and should not be considered an expenditure, but an investment that would have no impact on the US budget deficit. In addition, President Obama's letter also called for "a special one-time allocation of SDRs, reserve assets created by the IMF ... that will increase global liquidity", thus candidly revealing the IMF's ability to "print" or create world money. What he did not say was that US taxpayer money would be used to bail out Greek bureaucrats who retired at age fifty with lifetime pensions, while most Americans were working past seventy to make ends meet. Of course, that was just an aspect of the wasteful socialists policies followed by those countries (and others, such as Italy and Poland) for many years of increasing expenditures resulting in huge indebtedness. In addition, President Obama's letter to Congress did not hide the fact that the new funding was as well a package deal intended to increase IMF votes for China (in exchange for the $50 billion support) and to force gold sales by the IMF, resulting in much lower gold prices just at a time when China was ready to start buying large quantities of gold covertly (hidden from the world's public, but known by major world governments). Resulting from all these manipulations, China became by 2014 the country with the fourth-largest gold hoard just after the United States, Germany ... and the IMF! Money has thus become a kind of structured financial mirage to facilitate credit and cover up an ever-increasing and widespread debt that, in recent times, has gravitated increasingly as a greater weight on the United States. This creditworthiness has turned the United States into a major importing country with growing deficits in the balance of payments and the balance of trade, mostly in benefit of China, Mexico, and the European Union as a whole. The ideal free trade policy has been applied for too long in one direction only when it comes to exports to the United States, while subsidies are granted to products that compete with those from the U.S. or competition is made up with an artificially devalued currency and covert tariffs are applied to imports from that country. President Trump is trying an unpopular foreign trade policy to remedy the serious problem of the immense public debt and the growing foreign debt that threaten to bury the US economy sooner or later if it is not fixed with proper austerity measures and renegotiated trade deals. That does not go well with old friends of convenience in Europe, Mexico and elsewhere or with a deceptive and powerful adversary (if not an enemy) like China. The loss of their privileges in their foreign trade with the United States represents the end of a bonanza that has been promoted for too long by those seeking for their own political or financial goals to develop a world economy that overwhelms the sovereign economic policy of countries in favor of the world's trade, commercial and financial interests. At some point during his administration, President Obama voiced his alleged will to "fix NAFTA so it works for American workers". Even the left leaning Economist Joseph Stiglitz argued that: "These are not free trade agreements in any sense of the term," but "they're really advantage-trade agreements ... which Obama says he wants to re-negotiate." However, it was not until Trump's renegotiation that the NAFTA "advantage-trade agreement" was abolished in favor of a more equitable one, despite the strong opposition it found to achieve it, including that of Stiglitz himself. Fake money? With a fake currency that is just paper, promises and debt, and the fact that world trade is not as free as it should for the good of all, drastic measures to remedy the situation are in order. Free trade is a policy to eliminate discrimination against imports and exports. Buyers and sellers from different economies may voluntarily trade without a government applying tariffs, quotas, subsidies, prohibitions on goods and services, or artificially devalued currencies. The verbal "indictment" from other governments and a large portion of the media of President Trump as a protectionist does not take into account all these irregularities taking place in world trade. Economists generally concur that truly free trade erases inefficiencies and inequalities, rewarding innovation and benefiting everyone with cheaper goods and services. But in order to work, it has to be a two ways avenue.